The battle for suburbia grows to new heights. 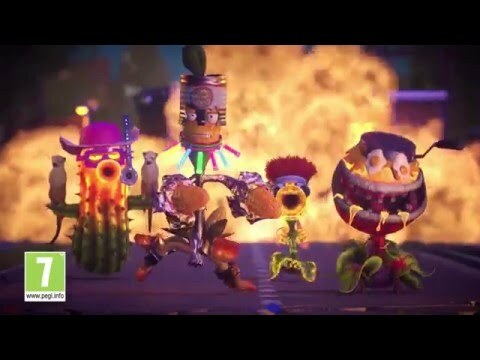 Ready the Peashooters and prepare for the craziest, funniest shooter in the universe. Dr. Zomboss has conquered Suburbia and transformed it into a zombie-filled, plant-free paradise. Now it's the plants' turn to take the offensive. Reclaim their turf in the new 24-player Herbal Assault mode, or choose between the plants or zombies and give your rivals a dirt nap in four-player co-op or solo play. With Plants vs. Zombies: Garden Warfare 2 as part of the PlayStation Hits range, you can pick up this fantastic action game for a wallet friendly price – along with a huge selection of other PS4 titles.